During his fourth and final visit to the New World in 1502, Columbus discovered a land he named Costa Rica, meaning the rich coast. Unfortunately, there was no gold or treasure to be found here. The place he first anchored was an island near the future port of Limon, the Spanish word for lemon. Costa Rica is a country where Central America narrows before joining the South America continent at the land bridge of Panama. It has coasts in two different oceans while its capital, San Jose, lies in the Central Valley between the two coasts. We docked on the Caribbean side in the harbor of Limon, but as we had been reminded by our guide, Costa Rica is a third world country and poverty is widespread in Central and South America. We saw no tourist resort areas and therefore assumed that today's rich coast was on the Pacific side of the country. Online tourist ads seem to favor that side. Our first stop on the tour took us to the Tortuguero Canals, a series of natural and man made waterways which connect Barra de Colorado and Tortuguero with the port of Limon. Here, a short boat trip on the canal showed us some of the various wildlife native to the area, such as small caimans, sloths, a variety of birds and a lizard nicknamed the Jesus Lizard for his ability to run across short stretches of water on his hind legs without sinking. Naturally, the lizards we saw and photographed didn't perform for us. Must have been camera shy. Next came a short walk through a portion of the Veragua Rain Forest. We lucked out, it wasn't raining at that moment. At the end of the walk, we entered the Sloth Sanctuary, which raises seized and abandoned wild animals until they can be released back into nature. Underneath a large net dome, we found two types of sloths hanging in trees and on caretakers, two types of small monkeys running amok up and down vegetation, a very friendly Toucan who wanted a fruit snack and several turtles in ponds. Many of the caretakers were student volunteers from Germany, Austria and other countries. Back on the bus, we rode a few miles to a banana plantation and packing house. All the banana bunches still on the trees were wrapped in blue canvas bags to protect them from insects. When the bunches reach the right maturity, they are cut and tied onto a cable system which delivers them to the packing station. Here, the blue bags are removed, they get water baths in two different large tubs under an open air shed and are then graded and packed into cardboard boxes for shipping. We learned there are three upright stalks on a banana tree: the mature stalk with a bunch of bananas, the shorter stalk that will bear bananas the following season and the just growing stalk replacing the mature one cut from the year before. Casinos are legal in Costa Rica and while there were no laws on the books about online gambling, U.S. and Canadian entrepreneurs started setting up and operating online sports books and poker rooms in this Central American country during the late twentieth century. Not having a physical location in the U.S. allowed them to evade U.S. gambling laws, and by keeping their accounts in other foreign countries, the online gambling sites also avoided paying taxes on their massive profits to Coasta Rica. Shortly afterwards, the U.S. government passed the Internet Gambling Prohibition Act of 1999, banning online sports books and poker rooms. Since these operations were based in Costa Rica, the online gambling entrepreneurs thought they were safe. Their business flourished into about 2006 when they soon found they had a problem whenever they arrived at an American airport during a money run or for other reasons. Arrests were made. Then, the FBI stepped up the pressure by coming to Costa Rica to make raids and arrests. These defendants were quickly extradited back to American soil on charges of money laundering and violations of the Wire Act. In 2006, President Bush signed an even more restrictive law, the Unlawful Internet Gambling Enforcement Act. However, it was the Black Friday Raids of 2011 that finally broke the back of the big online gambling organizations in Costa Rica. 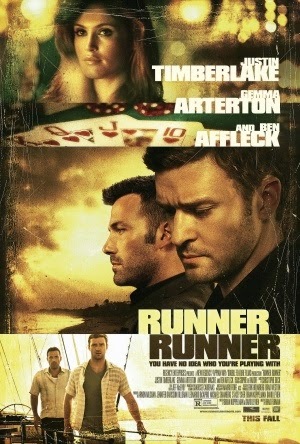 To depict the heyday of this time period, Ben Affleck and Justin Timberlake starred in a recent movie, Runner, Runner about the online poker rooms in Costa Rica. The movie showed scenes of the piles of money made by the entrepreneurs, violence between rivals, drug usage by those involved, their hedonistic life style and the coded software written by employees to cheat the online customers. As a side note, one of my prior racquetball partners had a son who left a sports book in Vegas several years ago to work online gambling in Costa Rica. However, he was smart enough to get out of the business and out of that country before the Black Friday Raids. Yep, we'd go back to Costa Rica, but I think we'll try the Pacific side next time. See you in Jamaica in two weeks. That Jimmy Buffet's got some nice rum drinks there in his establishment, not to mention the one free Margarita for every customer. Nice photos! Sounds as if you're having a great trip. We spent two weeks driving through Costa Rica 6 years ago. Amazing country. One of the funny things is how the roads change -- you can be on a nice asphalt highway and, at a turn in the road, it is suddenly gravel and dirt. We had a car with a gps (necessary since there are virtually no road signs) and at one juncture it had us turn onto a dirt road. We shrugged. No problem -- this had happened before. But this road got smaller and smaller, narrower and narrower. Finally we edged up to the top of a hill and slammed on our brakes. Just on the other side of the hill the road was gone -- just a 30 foot cliff down to a stream. We slowly backed up for a mile or so -- too narrow to turn around. The whole time the gps was saying "Make a legal U-turn." NO. BAD GPS!! And BTW, RT -- the appropriate Buffett song for your next literary stop is "Jamaica Mistaika!" Dale, nice story on your experience and catchy song title for the next stop. Actually, we had a good time at all ports and wouldn't liked to have missed any of them. Did you really manage to visit Veragua, the Sloth Sanctuary and canals in one day? The Pacific side of Costa Rica is more developed but if you wanted to see beautiful beaches, you should have kept heading south to Cahuita and beyond to the amazing National Park where both the jungle, beach and coral are protected.